Living… in a nightmare. Gloria, as the head of healthcare in Oz, carries a large burden on her shoulders. Doing the right thing isn’t always easy. 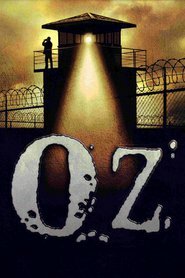 Profession… doctor in Oswald State Penitentiary, or “Oz.” Gloria says that she “could have a fancy practice anywhere, but I chose to work in Oz.” She has to deal with a constant stream of beating and stabbing victims, while caring for terminal patients in the AIDS ward. Interests… calling attention to the appalling healthcare in America’s prison system. Gloria fights for the best treatment for all of her patients, even if they are sadistic killers. Relationship Status… married, though things become complicated after she treats inmate Ryan O’Reily’s breast cancer and he develops feelings for her. Unfortunately, O’Reily is prone to expressing his feelings in violent ways. Challenge… caring for her patients and ignoring their unrelenting abuse. Most prisoners see Dr. Nathan as one of the staff, and thus another authority figure to rebel against. The fact that she genuinely cares for their well-being doesn’t always, or even usually, matter to them. Personality… strong and idealistic. Gloria, much like her colleague Tim McManus, believes in the best possible treatment for Oz’s inmates. She wants to help them on the path to rehabilitation rather than treat them as society’s unwanted burdens. Gloria Nathan's popularity ranking on CharacTour is #4095 out of 5,000+ characters. See our top-ranked characters and read their profiles.